Are you having a case of the Mondays? Do you need an afternoon pick me up? Then our rainbow smoothie is for you! Packed full of fruit and protein, this smoothie will not only keep cool it’s super hydrating and can give you the perfect push to get you through the afternoon! Step 1: Put the blueberries, raspberries, pineapple, mangos, peaches, coconut milk and water in the blender. Blend on low for one minute. Step 2: After a minute,switch the blender to high and add the protein powder. Blend for two minutes. 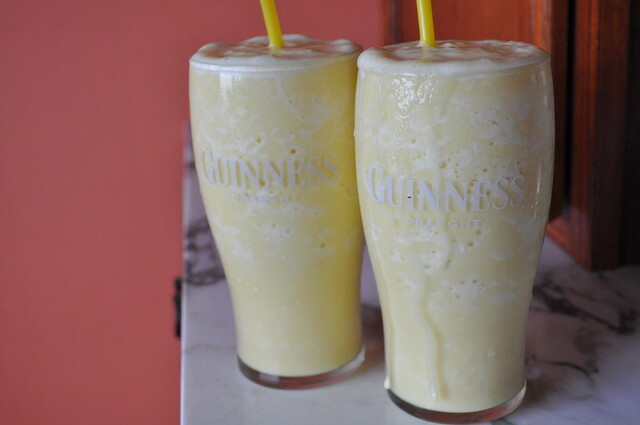 After a night out of partying, the best way to start your Saturday is by making our Red & Yellow Smoothie. 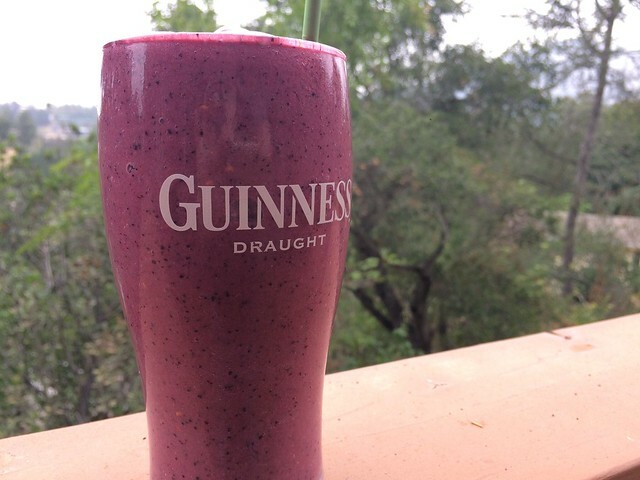 Packed full of fruit and protein, you can’t go wrong. Also, coconut water is AWESOME. Do you know how many benefits it has? Helps with blemished skin (working from the inside out!). Makes hangovers more bearable by replacing lost electrolytes. Aids in digestion because it’s packed full of fiber, and can help reduce acid reflux. It can also help reduce high blood pressure. 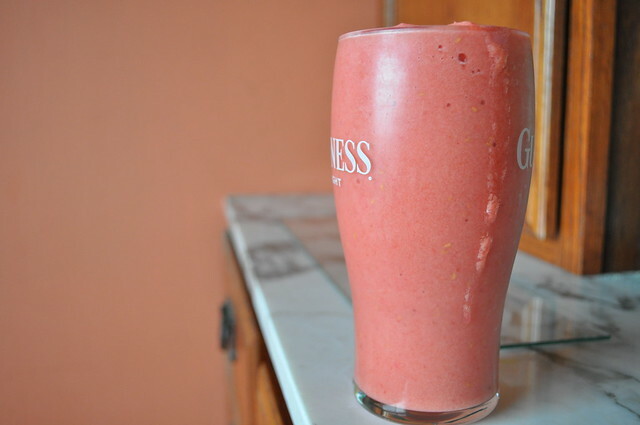 Put the pineapple, raspberries, peaches, strawberries, juice and water in the blender. Blend on lowest speed for one minute. Turn the blender to high, and add the protein powder. Blend for at least two minutes. Pour into cups and enjoy. 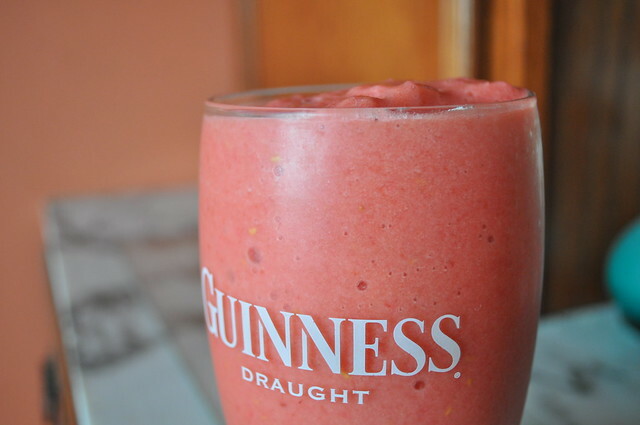 After a long weekend, the best way to start your day is to enjoy a nice cold smoothie. And who doesn’t love pineapples? Do you know how many different benefits there are to pineapples? They prevent colds. They can help straighten your gums. Pineapples have tons of anti-cancer properties, they can boost your immune system, they prevent nausea and have tons of other benefits you can read about here. 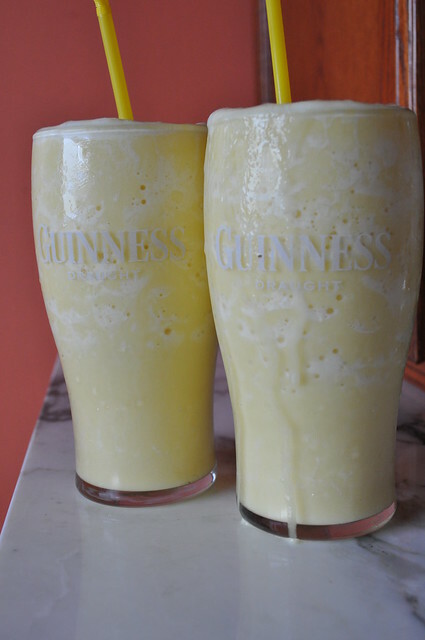 Place the pineapple, coconut milk, and protein powder in a blender. Blend on a low speed to break up ingredients. Once slighlty blended, turn the blender to high and blender until smooth. About 1 to 2 minutes. Alton Brown says the best way to start your morning is with something purple. And he doesn’t mean Barney. Is that a weird outdated reference? I guess our age is showing. 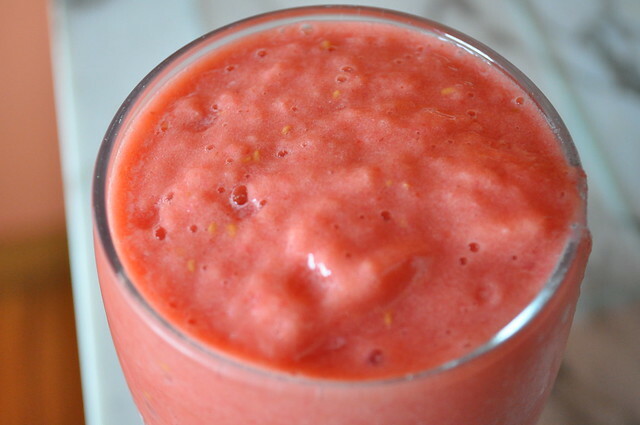 Anyways, the best way to start your morning is a smootie! A nice big purple smootie! Blend together until smooth. This usually makes two perfect servings. You can easily adjust this to how much you need. What better way to end your night than with a warm cup of hot coco. Here’s a quick and easy recipe for hot coco. The first thing you want to do is place your milk on a stove in a medium sauce pan over medium heat. Sift in the coco powder, and whisk until combined. For some reason, ours turned a weird gray color, but that didn’t take away from the taste. Add the chocolate, vanilla extract, and a splash of heavy cream. Stir until the chocolate has melted. 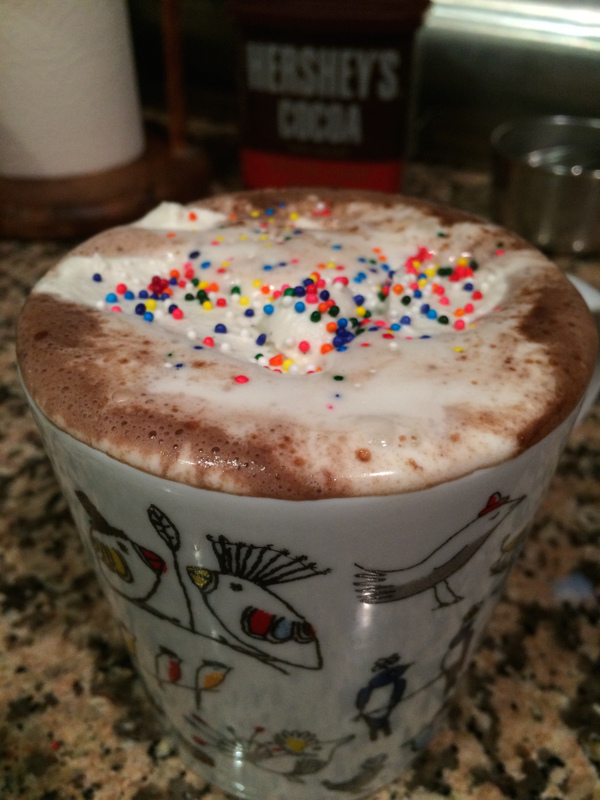 Pour the hot chocolate in your favorite mug and top with whipped cream. Enjoy!